Hello all! I have been thinking a lot of goodbyes lately. A co-worker and friend of mine is leaving the firm where we work because she is on to bigger and better things. 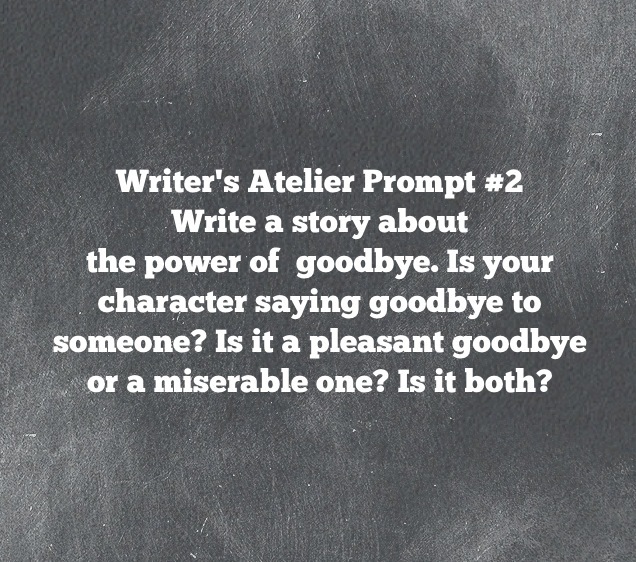 Goodbyes can be sad, happy or a combination of both. 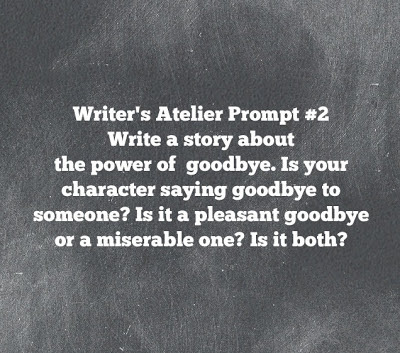 This week's writing prompt is inspired by the power of goodbyes. Happy Friday!